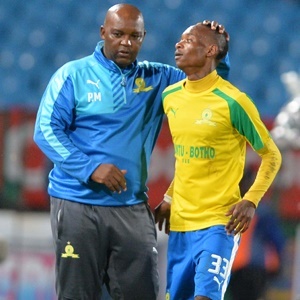 Cape Town - Zamalek assistant coach Tarek Yehia has confirmed the club's interest in signing Mamelodi Sundowns star Khama Billiat with the player's contract expiring at the end of this season. The Brazilians were said to be keen to renew the 27-year-old's deal, however, it appears the Zimbabwe international has his heart set on a move away from Chloorkop. As such, it seems the Egyptian giants are keen on making a move for the attacker with Yehia confirming the team's intent to reporters. "Of course I wish to sign Khama Billiat for Zamalek. He is a great tactical player, who has a lot of individual skills too," he said. The 56-year-old added that competition from other clubs in the region was not likely to deter president Mortada Mansour, saying, "We will certainly try to sign him. If Zamalek president, Mortada Mansour, is determined to sign a player, he will bring him whatever the temptations of the Gulf clubs." Billiat reportedly caught the eye of the White Knights when he scored in the group stages of last season's CAF Champions League group stage encounter at the Petrosport Stadium in Cairo.